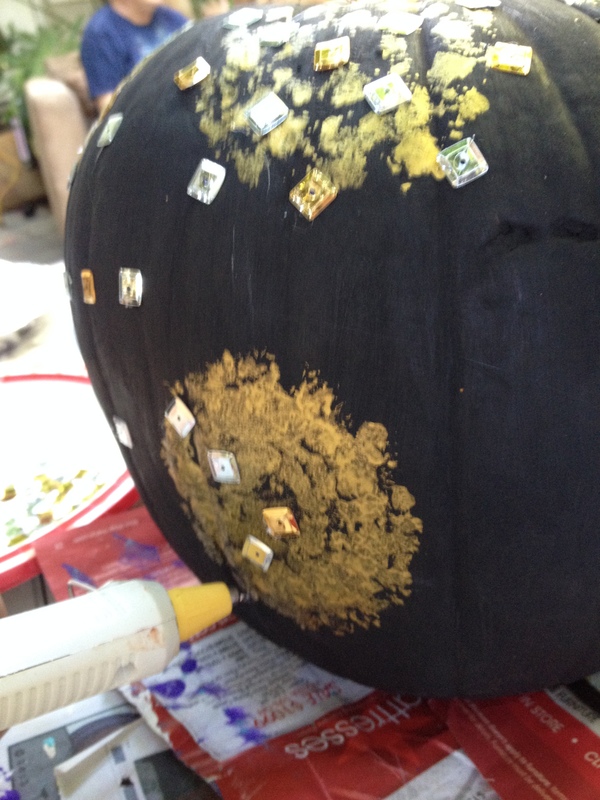 To kick off the month of the October and in the spirit of Halloween, I wanted to share my take on decorating pumpkins. I am not a big pumpkin carver and this year we will actually be on vacation during Halloween, so I thought I could paint and decorate pumpkins instead of making Jack-o-lanterns. 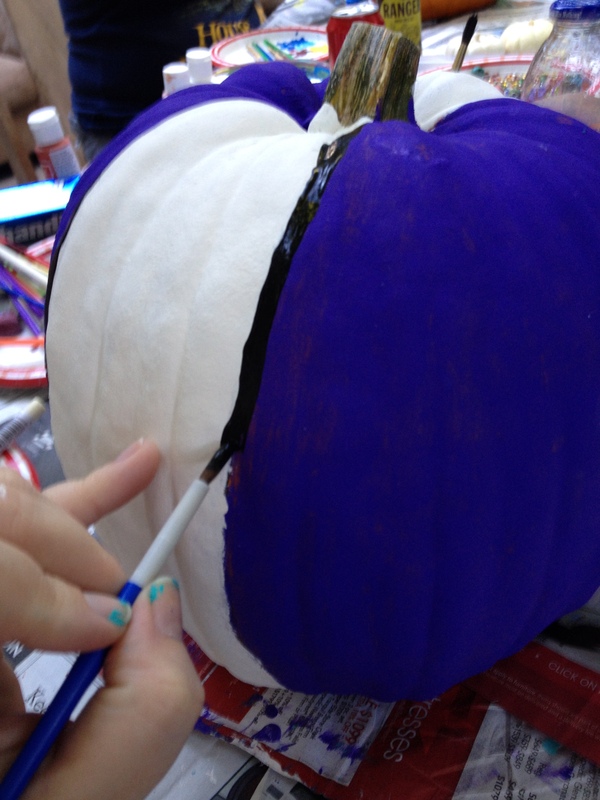 This is a great way to get in the holiday spirit early, as painted pumpkins last a lot longer than carved ones. 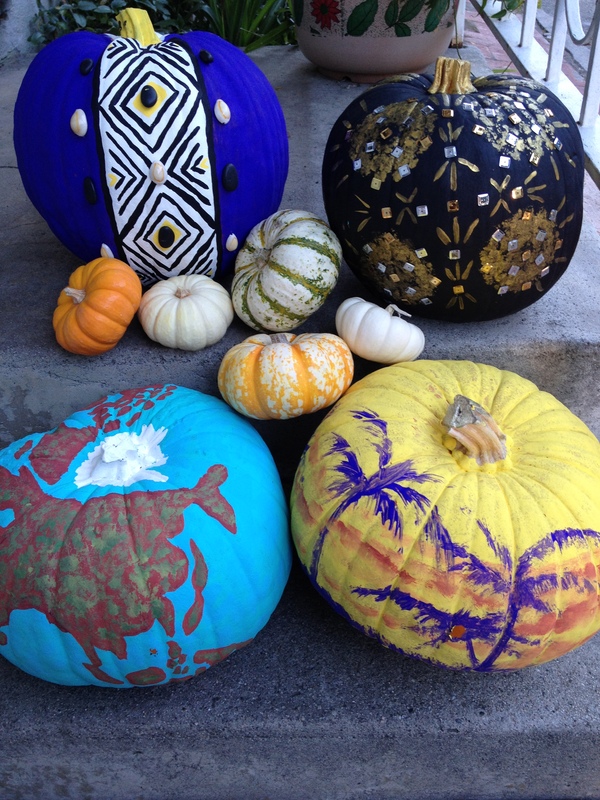 With my travel spirit in mind, I decided to create global inspired pumpkins from different locales and cultures. 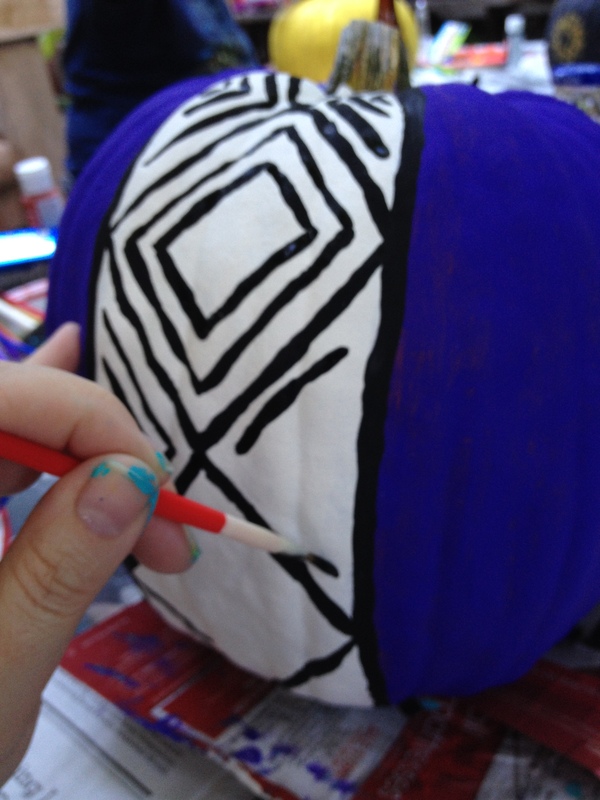 On Sunday, we had a great family pumpkin painting day and bbq with my siblings, nieces and nephew and my Pop. Here are a few of my creations with tips on how to create a few of them. 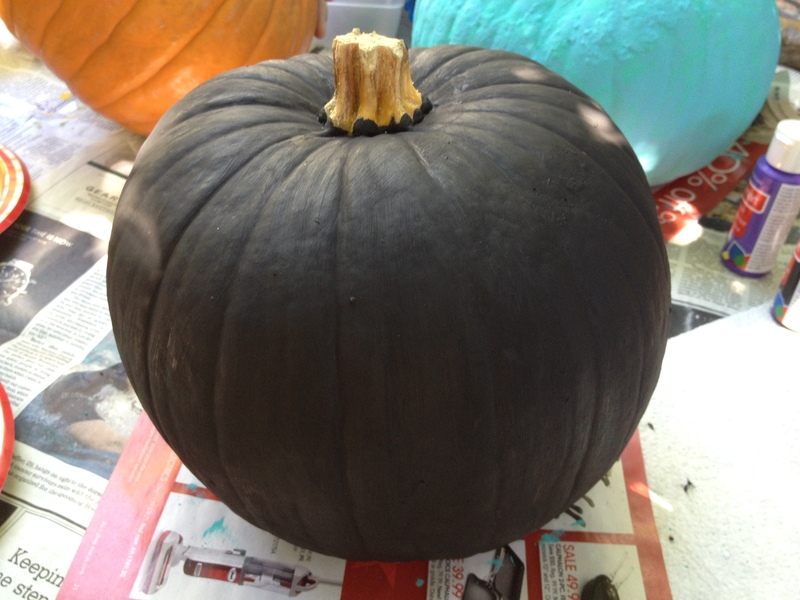 First I gathered supplies and a lot of pumpkins! 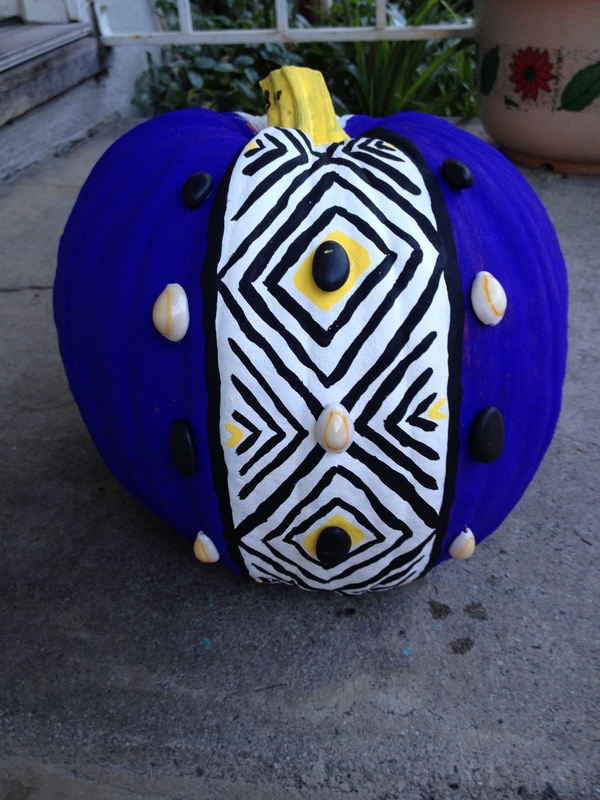 The first pumpkin I created was a tribal inspired motif that reminded me of Africa. 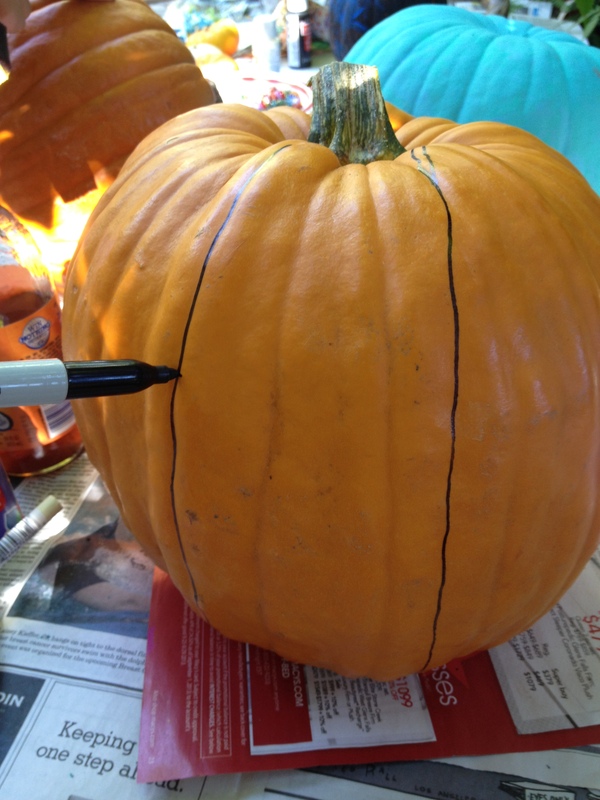 Step 1: Draw a wide stripe on either side of the pumpkin. 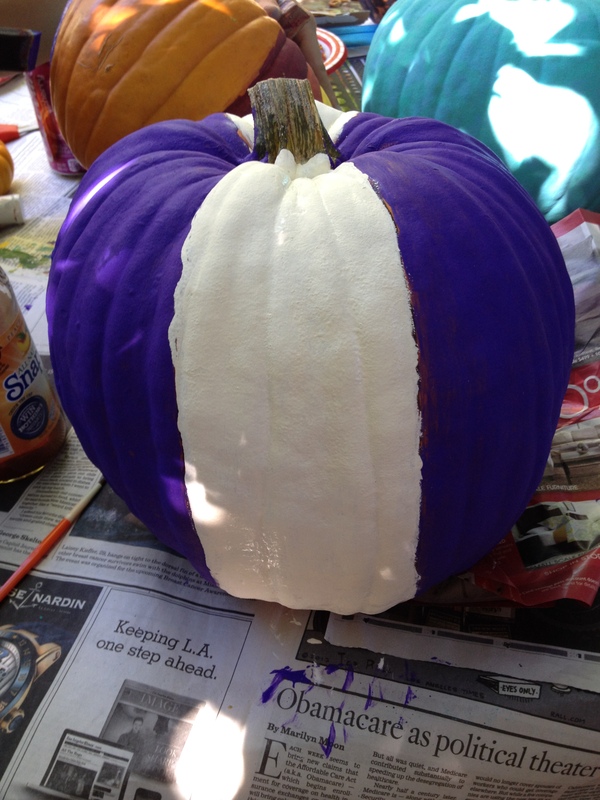 Step 2: Paint stripes white and the remainder of the pumpkin purple. You could use any colors that excite you! Step 3: Cover border of stripes with black border. 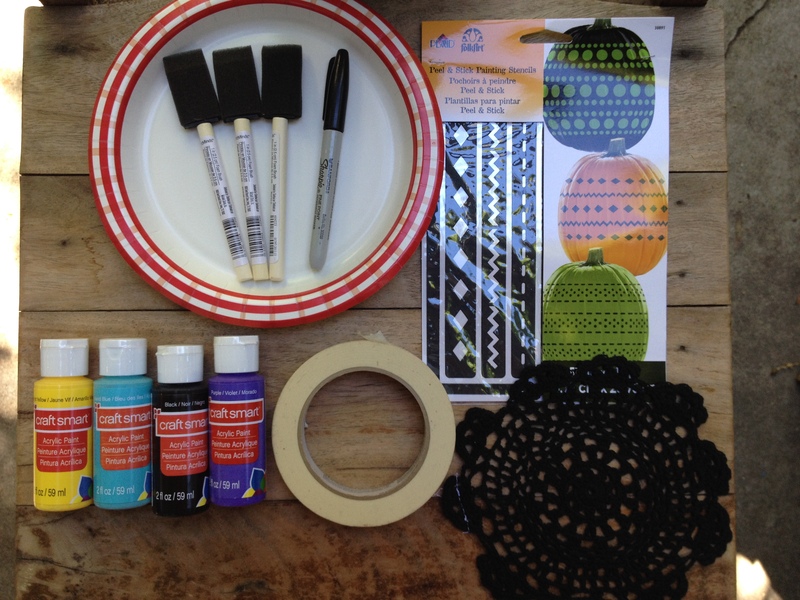 Step 4: Paint repeating diamond pattern on the entire width & length of each stripe. 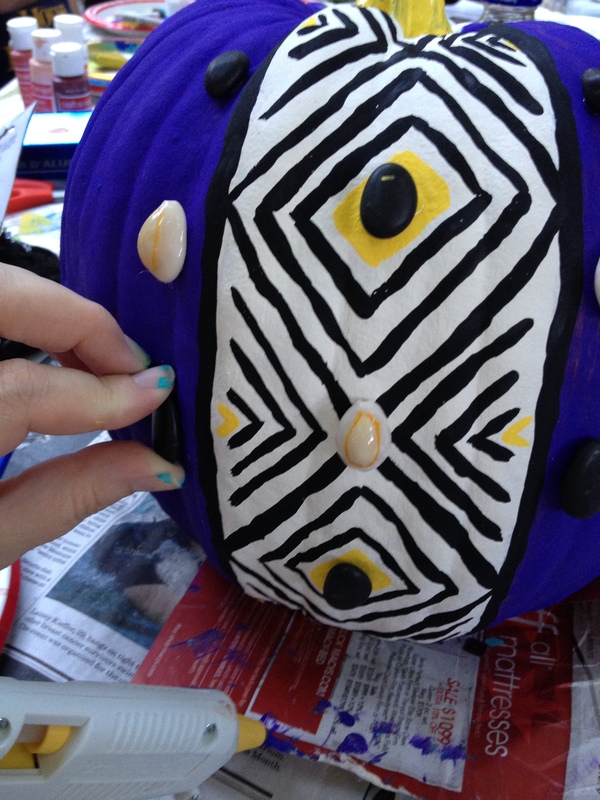 Step 5: After adding yellow accent color to design & the stem, use hot glue gun to attach river rocks and cowrie shells. 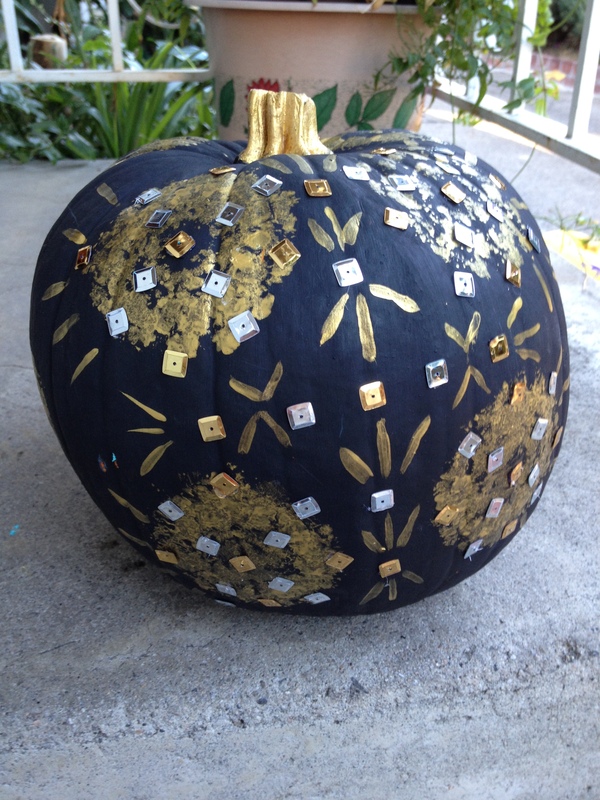 The second pumpkin I decorated was inspired by India and all the lovely embellishments they have on everything! 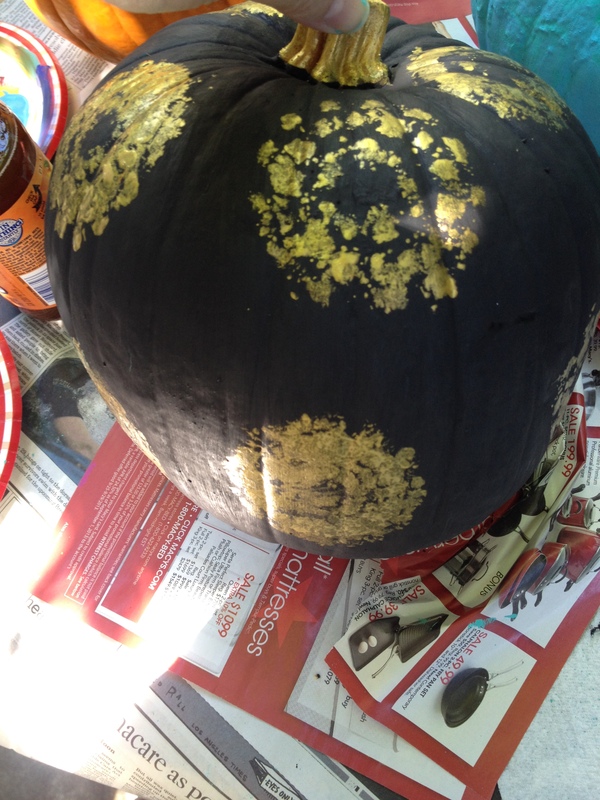 Step 1: Paint the entire pumpkin black and the stem gold. 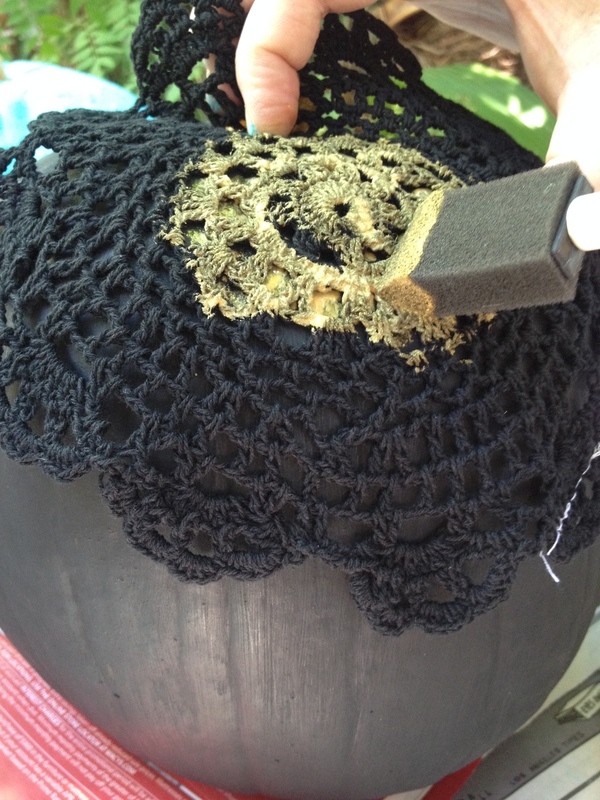 Step 2: Use a stencil or a doily and sponge gold paint on to the pumpkin, transferring the design to the pumpkin. Step 3: Repeat Step 2 all over the pumpkin. 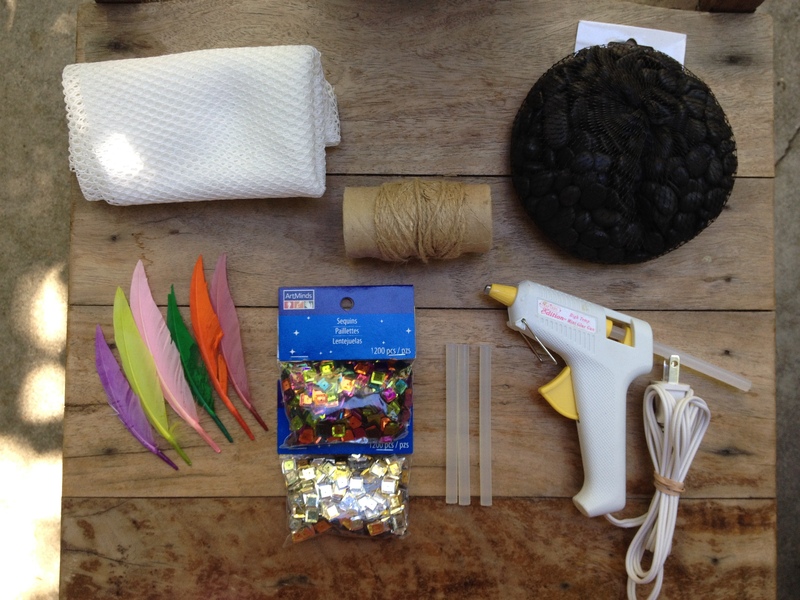 Step 4: Use hot glue gun to attach sequins. I added extra painted details once the sequins were attached. 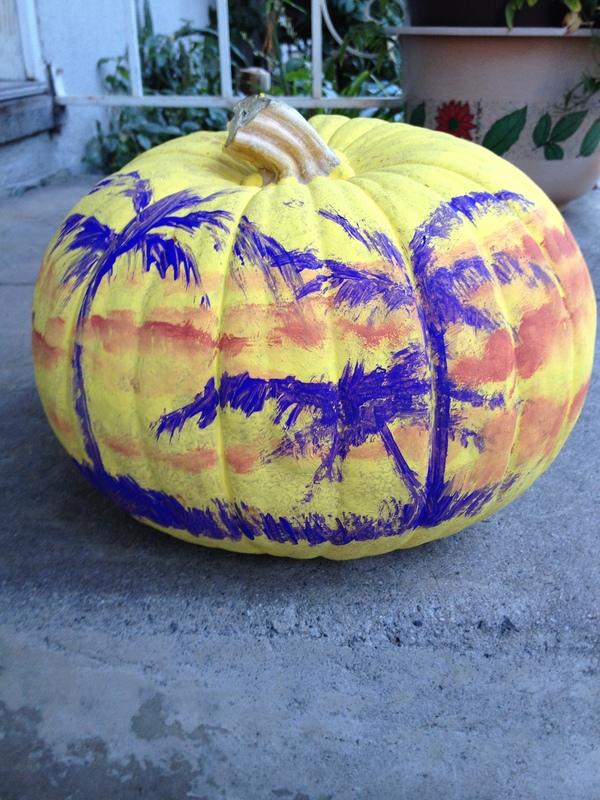 My dad created this tropical pumpkin with only a sponge paint brush. He used the flat part of the brush to apply the overall color and the tip of the brush to create the sunset and palm trees. 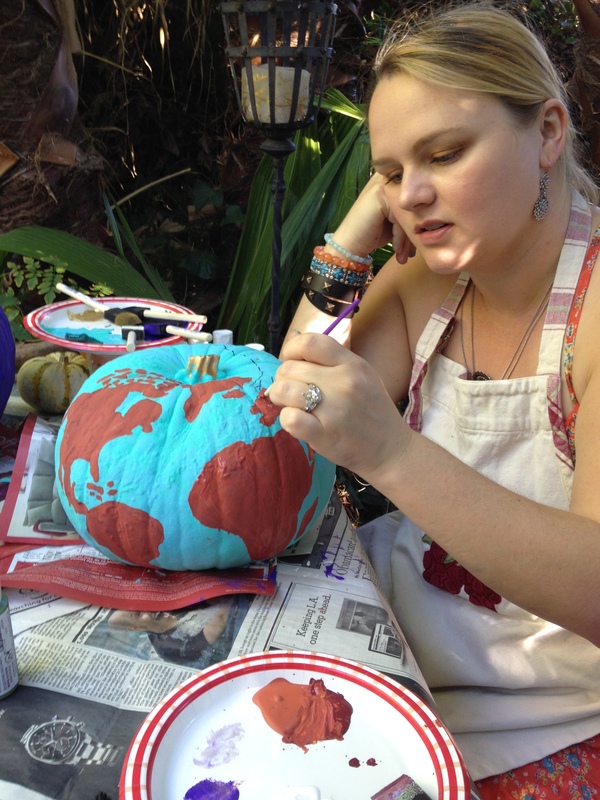 Travel is my passion so the last pumpkin I created was of course, the globe! 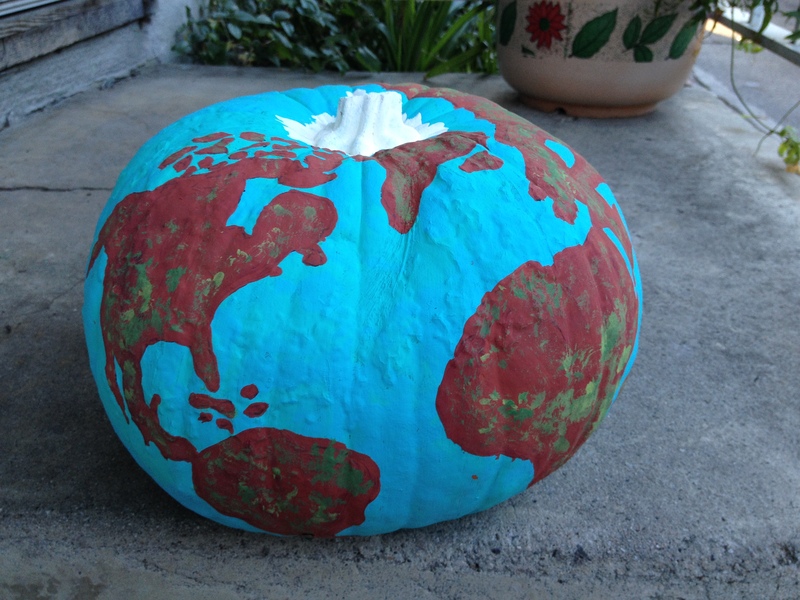 I layered 2 different blue colors on the pumpkin with a sponge brush, as the base, and then free-handed the outline of the continents with a marker, using a map as reference. I painted in the continents with a small brush and sponged green paint over the russet color to create depth. Lastly, I added white for Antarctica. I dig how it turned out. 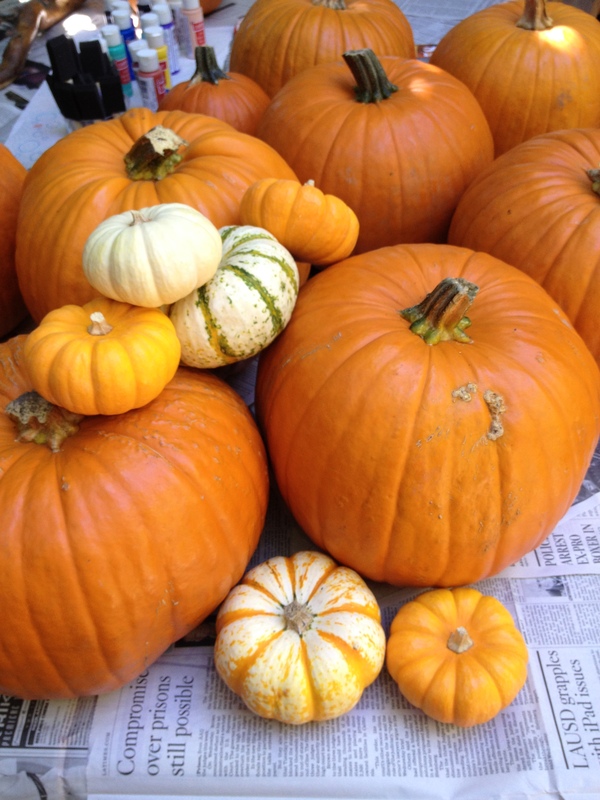 I hope you enjoyed these easy pumpkin decorating ideas and that you share them with family and friends! Most important, I had a blast spending the day with family, being creative and festive and I wish the same for you in the coming months.